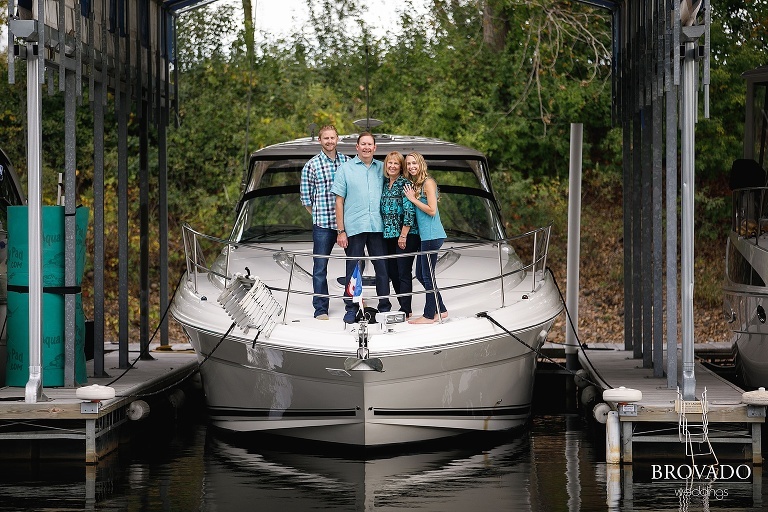 Prior to their winter wedding, Natalie and Josh ventured to Bayport, MN to take family photos with Natalie’s family on their boat! 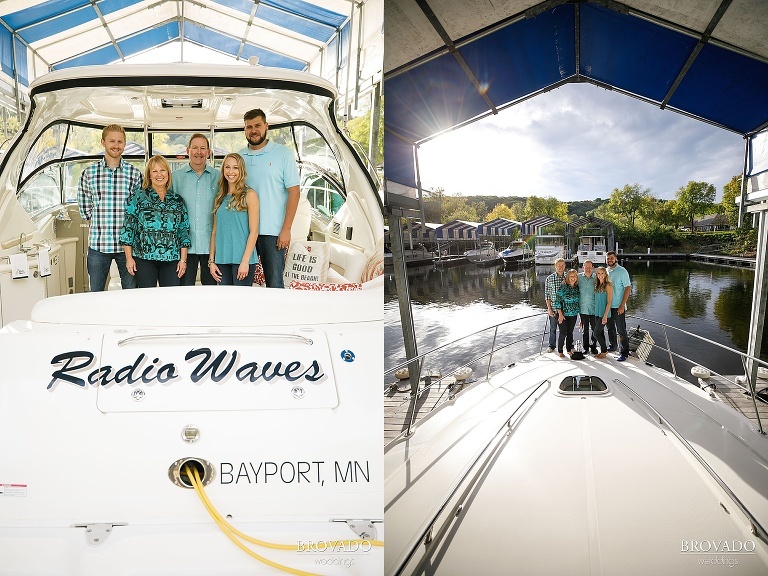 We returned to the sunny St. Croix river where the couple took their engagement photos, which coordinated perfectly with the blues that this crew dressed in. 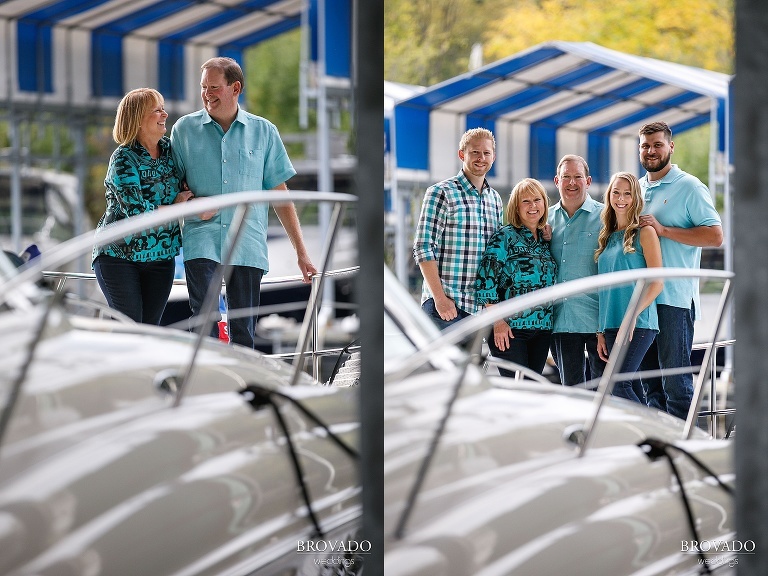 Smiles were easy to come by for these photos, but how could you not be happy surrounded by your loved ones in such a beautiful location. Like the pillow on their boat says, life is good at the beach! 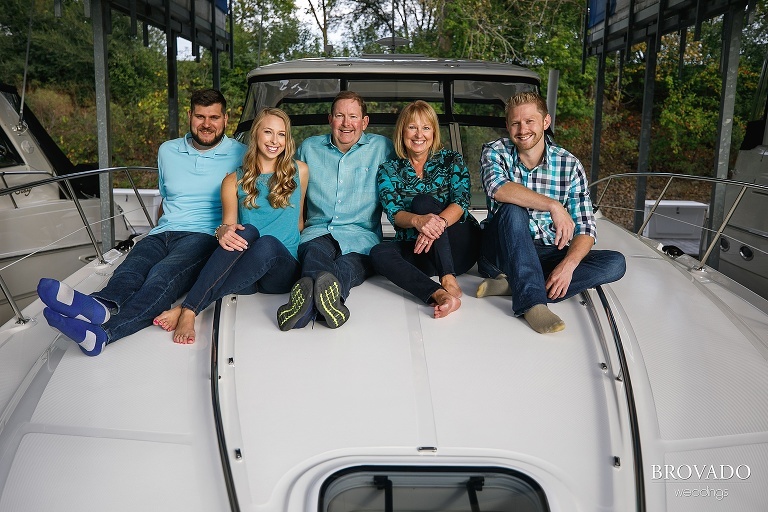 Natalie and Josh, we can’t wait for your upcoming wedding!